← Want to download TOK resources? I’m getting myself organized. (Eileen Dombrowski, from OUP blog) “Only art has the power to build bridges between communities,” asserts an art historian in response to a current exhibit in Srinigar, Kashmir. One of the hosts of the exhibition similarly affirms, “Art is dialogue and conversation about difficult subjects.” As TOK teachers, we have a world of examples to bring to class on art as an area of knowledge. However, this current one, treated in the following article with brief interviews and backstories, is powerful in prompting thought and discussion on the role of art in communicating and creating knowledge: The Kashmiri art bringing Hindus and Muslims together. The general answers to these questions will be similar regardless of what particular examples we choose for entering and illustrating discussion. Whether we use biological population studies or massive experiments on the Higgs boson in physics, we will be able in class to trace common goals and methods in science. So, too, in art. Yet the purposes claimed for art are variable and their criteria of evaluation are open to debate. An exhibit such as this one is excellent in focusing class discussion on many goals – for instance: representation, expression, aesthetic achievement, and social commentary. It also anchors art creation very firmly in context as significantly both individual and social, and in a shared exhibition as both individual pieces and a collective. 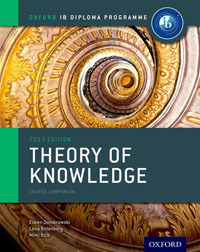 (For goals of art and criteria of evaluation, see Chapter 15 in the Theory of Knowledge Course Book.) If students also think that this attempt to bridge painful differences is valuable – or even moving – then perhaps we heighten not only their understanding of what art can aspire to do but also, we hope, their appreciation. We don’t have to agree, of course, that ONLY art has the “power to build bridge between communities”. How might other areas of knowledge contribute to the bridge-building? Our students, with the awareness of perspectives that we foster in TOK, might have some ideas! This entry was posted in IB Theory of Knowledge and tagged art, arts, perspectives. Bookmark the permalink.